Church Youth Camp Buttons - Amen! Do you have a friend that you "totally" love? 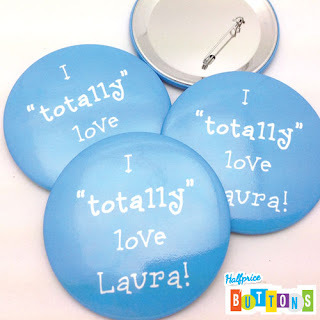 We love our friends, and we like to make their birthday special with customized pinback buttons. Available for a low low price, and customized in any color in the rainbow, these birthday party buttons are sure to be a hit at your next gathering.